Edited to add on 12/22: Unfortunately, our comments have not been working for a couple of days here on Spud says! The comments are now fixed and working fine! We apologize if you took the time to leave a comment and it was not posted. We are unable to retrieve the lost comments at this time. I wasn’t going to knit any gifts this year and then about a day and a half ago I decided to whip up a few items. I turned to my leftover baskets of Spud & Chloë to piece together a couple of gifts. It makes me feel so good to have a couple of knitted items under the tree. 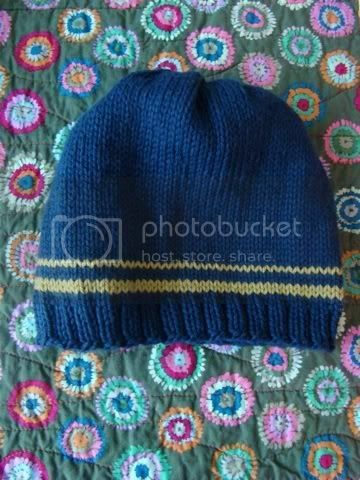 Above, I made a quick hat for my husband using Spud & Chloë Sweater. He is a big guy and so he has trouble finding a hat that actually fits. I am hoping this one will fit well. We’ll wait and see. I made this pattern up awhile ago, actually for a hat I knit for my brother, and now I have made several of these hats for the men in my life. I will make the pattern available at some point in the future. I used the colors Lake and Grass. I think it is pretty smart looking. I just finished this pair of Outsider Mitts in Carbon and Soapstone Outer. These mittens whip up so quickly and I forgot how fun mittens are to make. I cast on in Soapstone, worked one round in rib and then switched to the main color, Carbon, for the rest of the mittens. I made these in a little over an hour yesterday morning. Fun! I have a second pair on the needles in Soapstone (for the trim) and Bayou for the rest. This pair is for my niece who has a birthday on the 26th. Her birthday tends to get lost in the shuffle being the day after Christmas so this year I will be prepared! 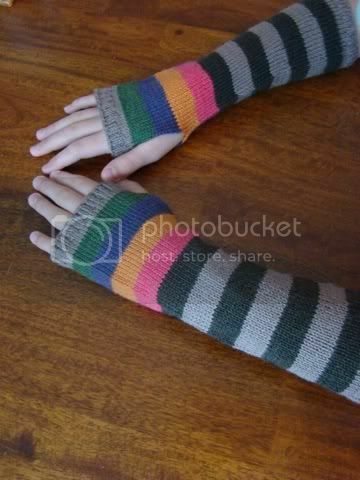 Now these I didn’t knit for someone else, I received the Happily Ever After Mitts as a gift! Can you believe it? I think I have mentioned it before but I don’t get to keep the samples of the things I knit for the blog. 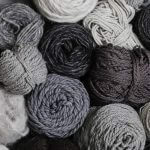 I ship them off to the company so they can be used in trunk shows for the knit shops to enjoy. I usually don’t mind at all, it is just part of the job, but occasionally I would love to keep a few of the things I design for myself. 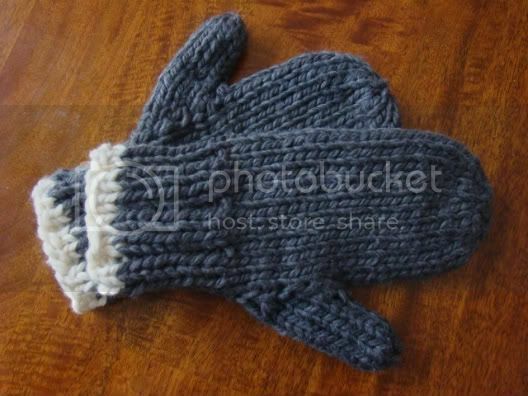 The Happily Ever After Mitts were one of the items I wished I could keep. 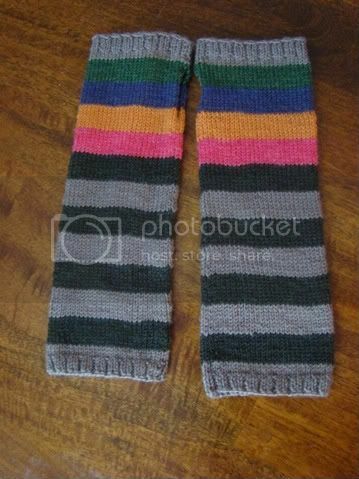 Sweet Merri, who works with me at Blue Sky Alpacas/Spud & Chloë, sent me a pair that she knit up as a holiday gift! It is the sweetest gesture ever and I have been wearing them non-stop. It is rare for me to get a knitted gift so I love and appreciate the mitts more than Merri could imagine. I know the effort that goes into a gift like this. I love Merri’s color choices, too. Thank you, Merri! 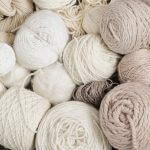 Anyway, I’d love to hear what holiday gifts you have been knitting with Spud & Chloë this season!